What a spectacular morning this was, and I only wish the circumstances would repeat themselves, with 3 more years of photographic experience under my belt. 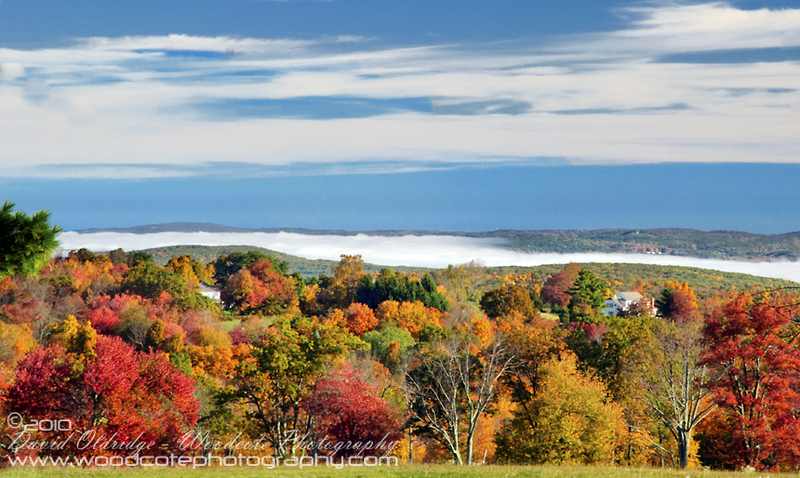 The shot was taken from the top of Johnnycake Mountain, barely half a mile from our home. 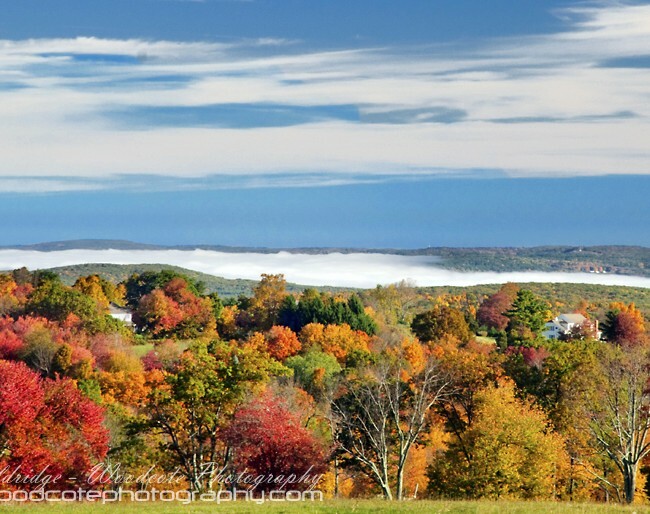 The sun was up, the sky was blue, the Fall colours in the foreground were spectacular and, to top it all off, the morning mist lying all along the distant Connecticut River valley had yet to evaporate. A quite beautiful vista to which I would love to do better justice.